Poor Dayna! Isn’t it enough that she has saved the land of Andeluvia over and over, and never gotten even a “Thank you” for her efforts? I mean, come ON guys! You beat a demon, save a couple of races, and keep warning the whole planet that a war, fought long ago, is heating up once more . . . and all she gets is laughed at!? Wow. Talk about disrespectful! The Royal Court doesn’t listen. Life back home on Earth is going sideways faster than she can say “Great big gobs of greasy, grimy Griffin Poo!” What is a girl to do??? Oh, and don’t even get me started on the King! Not only does he only intermittently have Dayna’s back. Ohhh no! Since Dayna was given the rather dubious title of “Dame Chrissie” the costs for renovating her tower are going up. Who was to know that, when she turned down tenant farmers and lands, not wanting to be responsible for all that, she was also turning down the income that comes with it? And the King? Well, well well. Being the “Kingly” sort, in the “I’m broke and have to pay all these people, so I am going to stick it to Dame Chrissie” (Really. You honestly didn’t notice that certain parties were draining your treasury?! Sigh.) way, Dayna has been awarded the “Great Honor” of becoming the one and only member of the Order of the Weasel. Whaaa?!?! Yep, the Order of the Weasel. Or, better known as The Order of the Welchers. Who happened to leave behind nearly a quarter million in debt. Which, of course, Dame Chrissie is expected to pay. And as if that wasn’t bad enough, the Phoenix who pops out of the fireplace during a meeting of the Royal Court is determined that Dame Chrissie shall save his whole species from extinction! Can a girl not get a freakin’ Break? 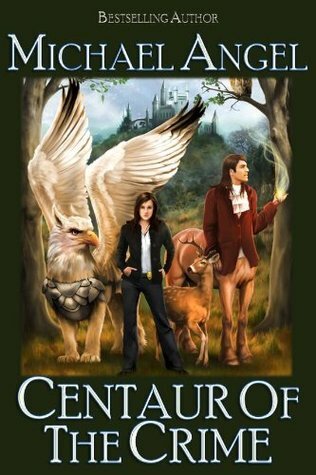 Join Dayna and her friends, Grimshaw the Griffin, the Fayleene Protector of the Forest, and Galen the Centaur Wizard on their newest adventure, as they fight off the depredations of evil (If they can figure out what the “evil” is), and take on another wonderful, magical adventure! 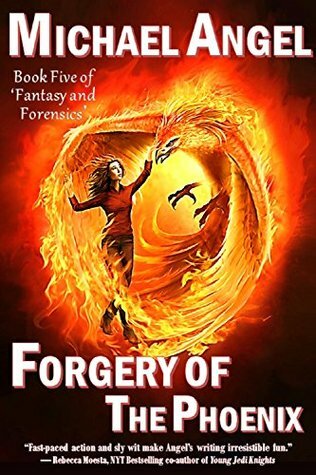 If you like your fantasy with fun, you will LOVE Michael’s writing, especially the Fantasy and Forensics series, of which Forgery of the Phoenix is the fifth! 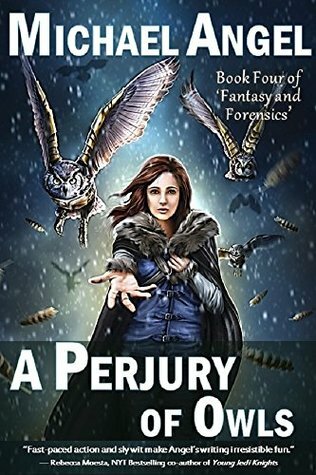 And don’t forget to check out all the other books in the series. They are best read in order 😉 Enjoy!!! 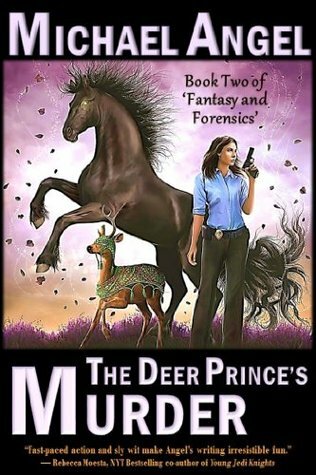 Click here for the Series on Goodreads! Click here for Michael Angel’s Website!!! I work with Michael on his books. All thoughts are my own.